Wow! Francisco is an elite white full accoyo herdsire and his offspring are sure to bring a new generation of excellence to our herd and to yours. 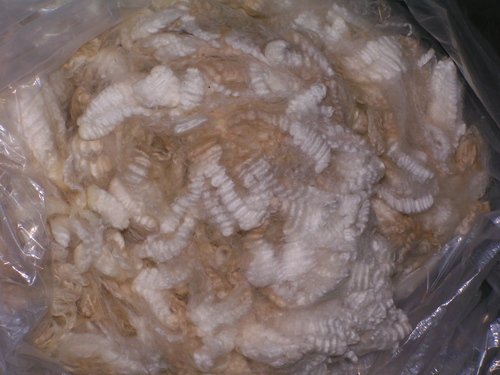 Francisco cria are similar in head styles, squared upright body frames, dense crimpy fleeces with exceptional brightness. Outside breedings are available to your best females. 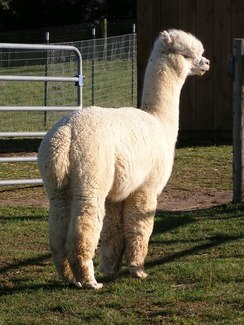 Francisco is co-owned with Hillside Alpacas. Shrona's full accoyo lineage includes The Last Don , Godfather and Vengador. She is beautifully balanced with exquisite fleece character and coverage...as one judge commented...the rare combination of fineness and density. Angel is CONSISTENTLY putting his stamp on his crias. They have strong bone, solid conformation, soft, crimpy fleece, and great density and this Reserve Champion male already has a Reserve Champion offspring to his credit. Our shearer picked out every one of his offspring because of their fleece qualities, and said that they were all "bloody beautiful!" We are delighted to have added this male to our herd - especially having now seen the quality of his offspring! Angelis has fineness, density, conformation, great temperament, and is full Accoyo, too, with the stats to back it up! 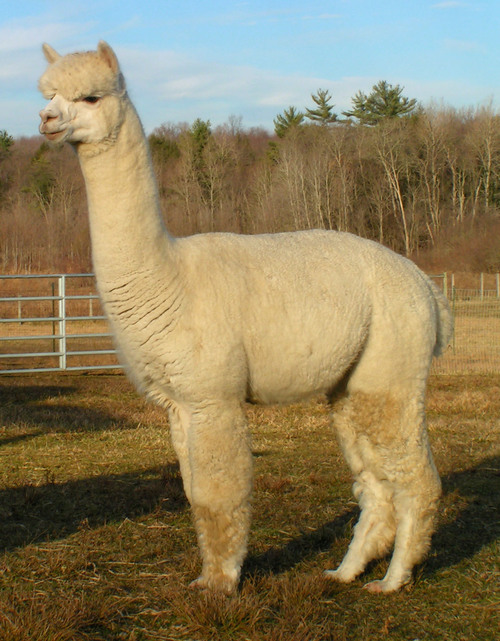 The potential of Angel's fleece and conformation have been recognized around the world, and by well respected judges, Amanda VandenBosch at the 2009 Empire Extravaganza, and by Jude Anderson, who awarded him a blue and Reserve Champion at OABA's 2009 Alpacafest. This proven herdsire has a highly desirable combination of characteristics - OUTSTANDING FULL ACCOYO GENETICS, and EXCEPTIONAL FINENESS! His composite entry fleece at the AOBA National Conference also scored a 19 out of 20 for fineness and handle! males Vengador... Godfather... Caligula... El Nino... Alexander... The Last Don... Francisco... Odyssey, and females Astillero... Pucara... Sunipani...Starburst and Shrona. He is also one of very few releases from Heather's Acre's coveted "Star" line, and carries the temperament of his award winning dam, Shrona, who we've always loved. 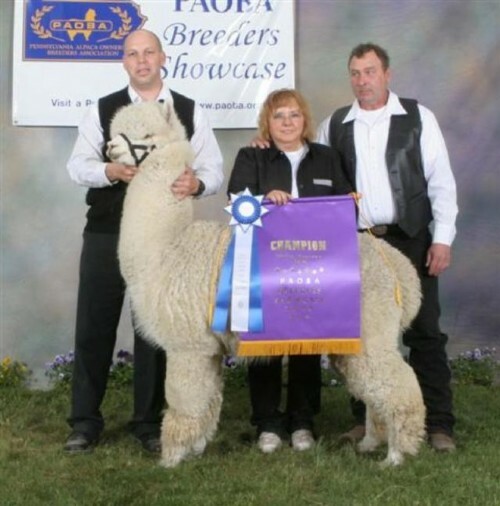 Angel's full sister also took the Judge's Choice banner at the 2011 MAPACA Jubilee! Please consider adding Angelis' genetics to your herd and have your own beautiful little angels! Drop us a line at morningskyfarm@windstream.net, or better yet, give us a call, and come to the farm to see - and feel - for yourself! Fineness, density and great temperament can be yours! Ask about our multiple breeding discounts! We welcome Alpaca Ventures, LLC, who was so impressed by Angel's offspring that they have joined us in independent co-ownership of this fine male!